The holidays are here and I'm thrilled. I love the lights that come with it. The food. The fun. Every year there are things my family MUST do. 1. We always make sugar cookies and buttercream frosting. Natalie usually dumps at least an entire thing of sprinkles on like two cookies, but it's why she has her own batch. 2. We decorate the tree together. Yes, it might mean the kids put like three ornaments on one branch, but it's okay, I can fix it when they go to bed. 3. We see Santa Claus. Although my kids are getting bigger, so we might not always do this. But maybe we will. I mean, it's SANTA. 4. We play in the snow. Well. At least we DID. We're in Texas now. Snow doesn't come here very often. But we can remember how we used to play in the snow. 5. We're also always thankful when my husband is able to be home for the holidays. Since he's in the military, he's not always with us. So when he's home, we thank the Air Force for allowing him to be home. 6. We go see fantastic movies together. Last year it was the new Star Wars. This year it'll be SING©, a hilarious movie about various animals who participate in a talent contest. It comes out on December 21st. 7. We eat delicious food together. Cookies. Brownies. Cakes. Cereal like Honey Bunches of Oats®. And great news! Whenever you buy a Post Cereal Brand, you can enter the code and win 100K! I'd love to win! I'd love for one of YOU to win. You can also SAVE on Post Cereal Brands with a coupon. What are some of your holiday traditions? Will you be seeing SING©? New Star Wars this year too!! Yup, we'll be seeing that one too! Though Natalie really wants to see if Luke is Rey's Daddy. This is the first year I will have a Christmas tree!! Woohoo! We decorated it yesterday! :) Ooh, sugar cookies...! That's a fun tradition! I love your list, I wish we had Snow for the holidays too! Oh and I like how Natalia thinks when it comes to baking! Great list! I'd love some snow for the holidays but it doesn't usually snow in this part of UK and if it does, it's not very much. This is such a wonderful list. I love baking cookies during the holidays with the kiddos. I love your list! So many wonderful holiday traditions. We don't get much snow here in VA either but the kids will play in what little bit we get.We will make cookies, decorate the tree and see Sing for sure. Hope you have a great holiday season this year. I do not like the snow...at all. Love your kids' ELF tshirts. Looks like you've got everything all planned out. Don't forget to rest up a bit in between. LOL! Having special traditions is so important. It just roots not only the kids but all of us as a family. Such a lovely post! Love your list! Glad you guys get to have dad home for the holidays! OMG all the yummy food and baking is a must here too!!! I'm so grateful for your hubby's service too. I haven't had Honey Bunches of Oats in years. Time to put it on my grocery list. I live in NYC and one of my favorite things is go to the Macy's day parade and play in the show. Special cookies, Mom's meat pies, my grandkids coming home, decorating the tree. It's been snowing here and we expect much more tomorrow, but based on previous years, we might still have a green Christmas. Can you say turkey & stuffing & all the trimmings... I can't wait. You are so right! Those things are so important during this Holiday season! You got me at cookies. Forget about kids, I'm a sucker for christmas cokies. Yay...nice to see other families have holiday routines too. Sing looks so good! I can't wait to see it too. I love Christmas baking like sugar cookies! So fun. That's awesome! I love the traditions that you that involve the whole family. 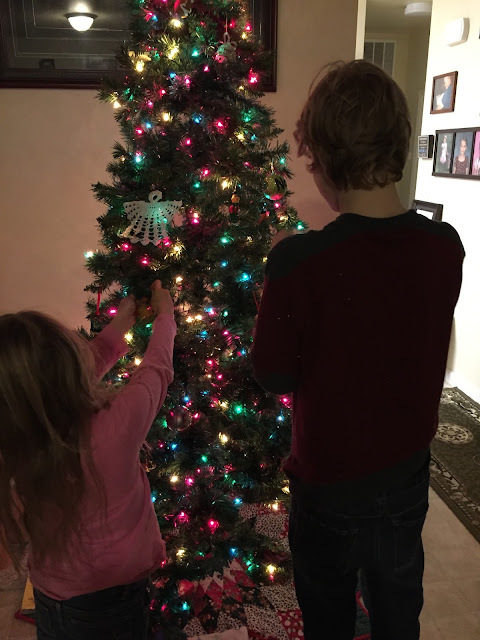 It's so nice that you decorate the tree together, the kids love that too! Those traditions look like such holiday fun. 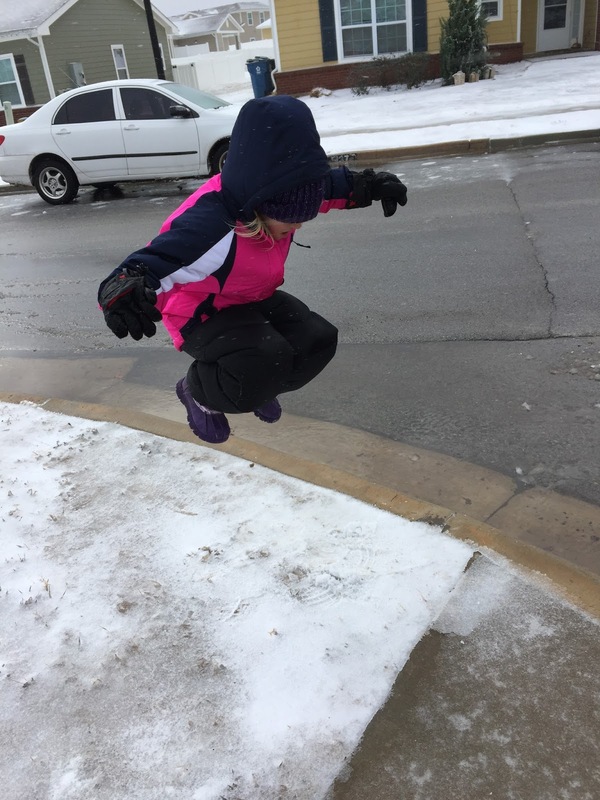 The picture of your daughter playing in the snow is amazing. it looks like she's jumping several feet in the air. And yes we will be seeing Sing too. You have some nice traditions. Your kids will appreciate it once they're grown. I soooo need to get this honey comb! ooooh sugar cookies and buttercream frosting sounds heavenly! We do a lot of the same things!! I LOVE Christmas traditions! I HOPE it snows here this year! I love all you must do's! One of our must do is making gingerbread cookies for Christmas and camping in the backyard! It sounds like you have lots of lovely Christmas traditions for your family. How fun! 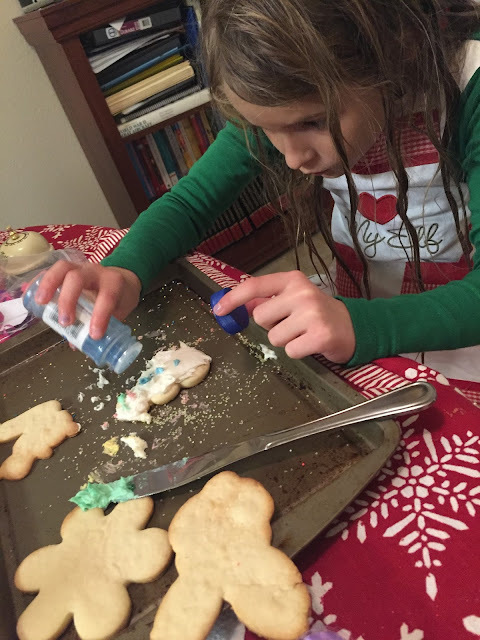 I love to get the kids excited for Christmas by getting them involved in the preparations especially the baking and the decorating! Such a lovely tradition for your family. 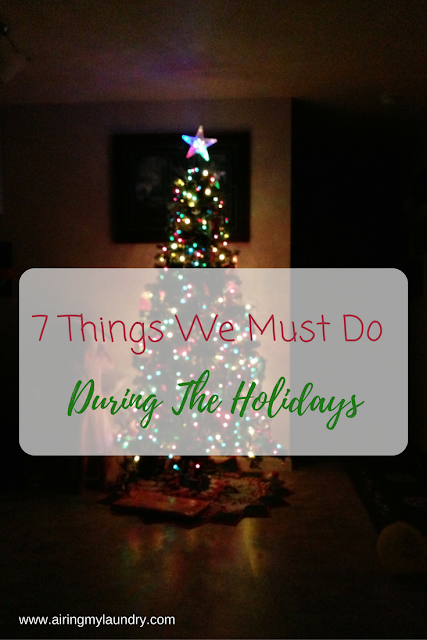 We don't have a "must" thing to do during the holiday in our household. It all depends on everyone's mood ;-). I love having family traditions. I may have to start one with the sugar cookies and buttercream frosting! Yum!!! I can so relate to number seven! Nothing like eating pure deliciousness with those you love! One of my favorite cereals! Your list of traditions is great! I love Honey Bunches of Oats. This is such a fun post. 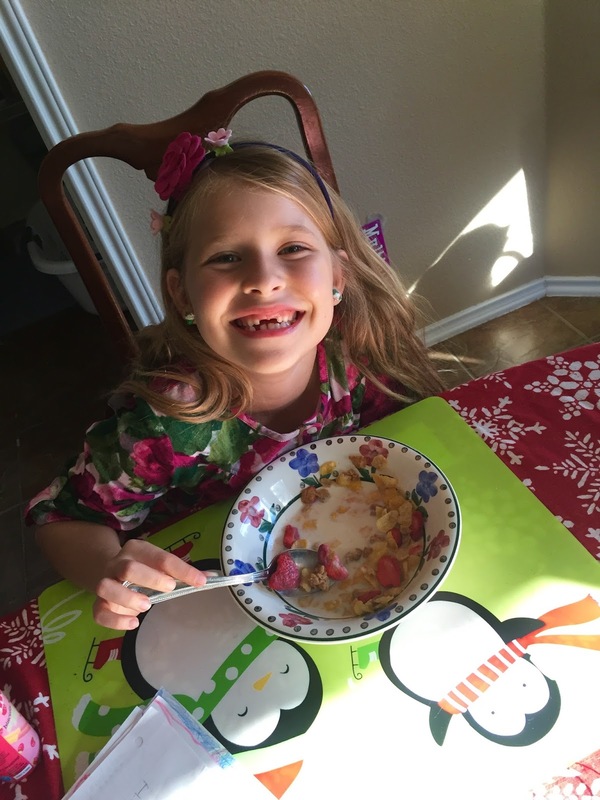 I love this time of year and my daughter loves Honey Bunches of Oats. I love this list!!! We do zoo lights as a family every year too, the kids love it. Lover your holiday list, Amber! My family and I love to decorate our tree together, too. We also love it when it snows! Aw I can't wait to have kiddos one day to appreciate the true magic of the season! I'll be seeing Rogue One and eating my usual Weetabix. We're struggling getting the decorations scheduled in since my shifts mean that I work most weekends. That's a great holiday list! Now I want the Honey Bunches of oats for snack. That's a good Santa! And those cookies! I want a plump one. Ok, so Sing looks like the best movie ever. 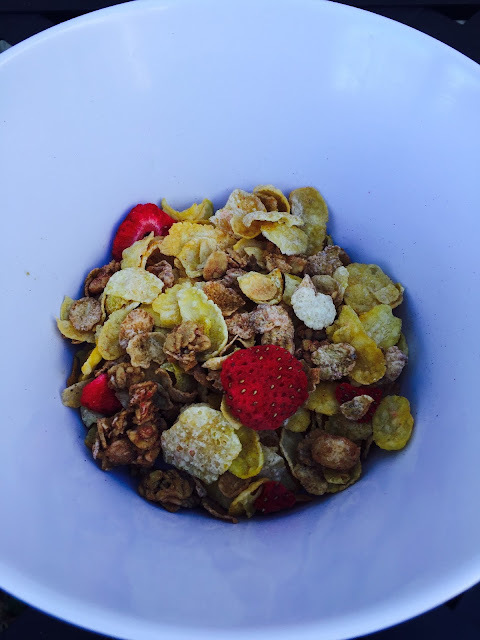 And we certainly love Honey Bunches of Oats! We have a list of must-dos too. My son wont go see Santa any more though, dang it. I love that you still do Santa pictures, those will be so fun to look back at one day! Yes yes yes! Christmas time is the best time of the year, and aren't we so fortunate to spend it with our families? I hope you get to see your husband for the holidays this year! Thank you for serving! Great giveaway, I will be looking out for POST cereal on my next grocery run. Sugar cookies are definitely a must. I love all types of cookies but those have to be one of my favorites! Aww this is a beautiful holiday tradition to do with your family, yes, the movies released during Christmastime are nice. Glad your husband can be home! We do all of these things too! I don't know if we will see Sing this year, since we have a baby at home. But my husband and kids are going to see Star Wars! This is awesome! My family had our annual Christmas decorating and dinner last night! I can't wait to blog about it! I especially love the one about the Air Force <3 My guy took off last year in December but he's home this year and it makes it extra special. I LOVE honey bunches of oats as well...might as well call it crack. I always HAVE to bake Christmas cookies, watch Charlie Brown, and drop of cookies to the police station here. Some of our Holiday traditions are eating roasted chestnut, have smoked salmon, decorate the tree very, very late (on the 24th is not rare...)! We always make sugar cookies too! It always becomes a contest who can decorate the coolest ones. Very sweet! :) I'm actually really excited about the Sing! movie. I adore kids movies. lol Buttercream frosting is THE BEST. Girl after my own heart with all the sprinkles...love it!! Yes to all of these! Well, except the snow since I live in Hawaii lol. My husband is also in the military! I love that you have traditions with your family. I chuckled at the part about the kids putting three ornaments on one branch. My boyfriend's daughter does that and I always have to go back and fix it haha. Love this! Every family has different Christmas traditions - yours are beautiful! I hope they continue for years to come! 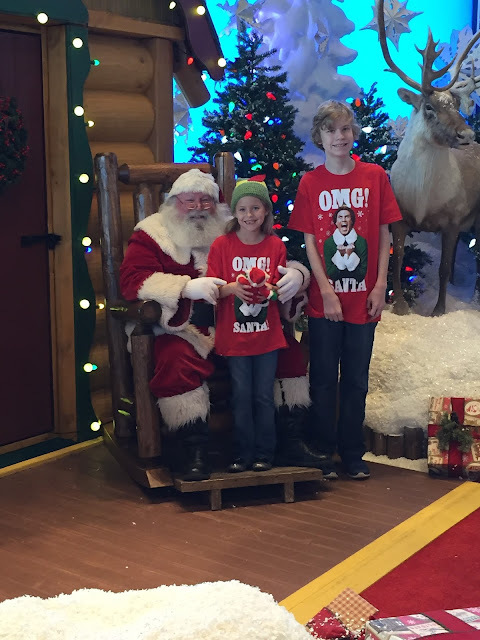 The holidays are such an incredible time for doing fun things as a family. I love building and decorating a gingerbread house. I love the photo you caught of your daughter mid-jump with the snow! And making Christmas cookies is always a number one on my list!